In recent years, kitchen design has undergone an important evolution, mostly with regard to the equipment. 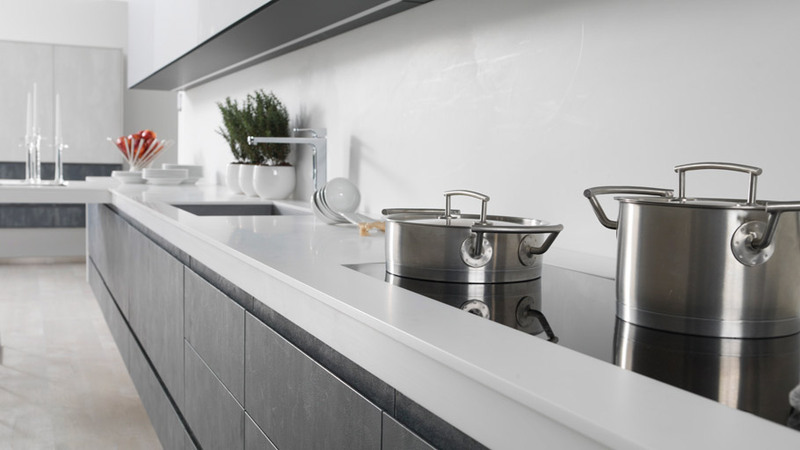 One of the relevant firms showing the kitchen of the future, is Gamadecor. Both functionality and practicality are a must, thus, achieving work spaces on a par with the top chefs. 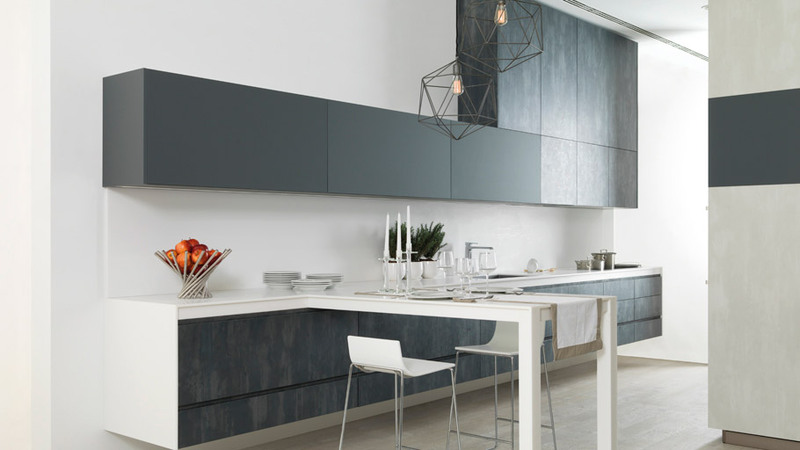 In addition to this, the design is highlighted in order to captivate and impress by means of both the use of the best materials and versatile modular kitchen structures which can be restructured and even hidden. Furthermore, Gamadecor turns out to be a firm working the design in order to adapt to the professional kitchen. Its continuous improvement process makes its equipment achieve unique and excellent avant-garde designs which meet the most experienced chef’s needs. The gastronomic culture has made the kitchen become an outstanding place at home, hence, the fact of having a cutting-edge design is a must for any cooking lover. 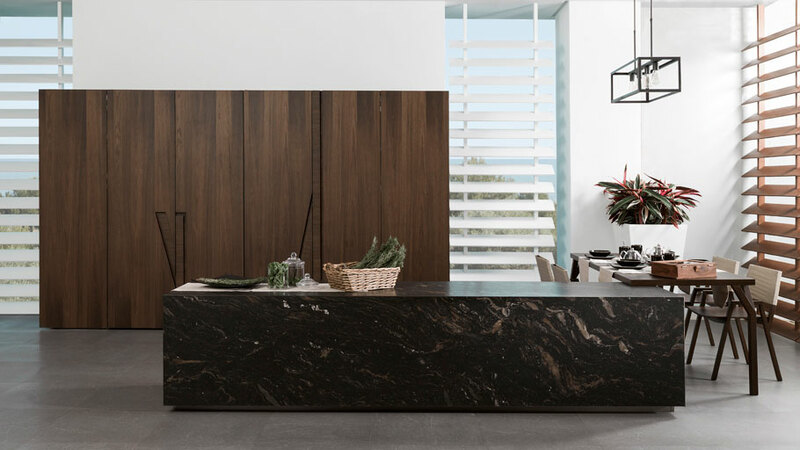 One of the models which is worth highlighting with regard to equipment by Gamadecor, is the Emotions Forest E6.90 Roble Torrefacto E4.90 Borax Mate kitchen. It is an elegant and natural design, as its name suggests. 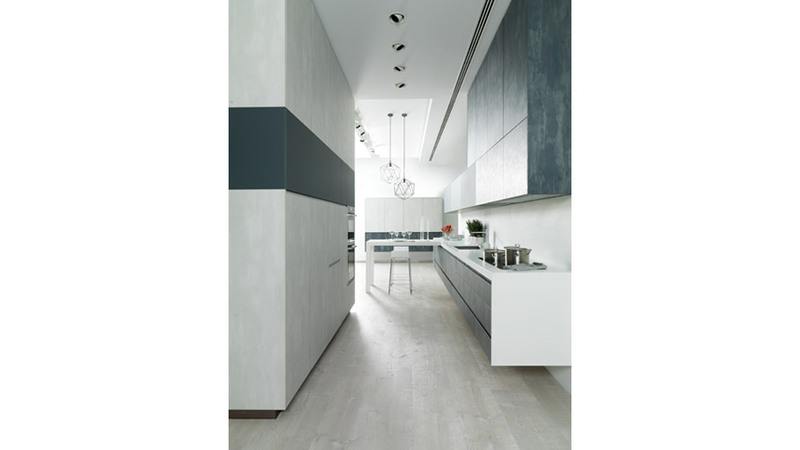 In this kitchen, two fine materials are combined together, in other words, oakwood and marble. 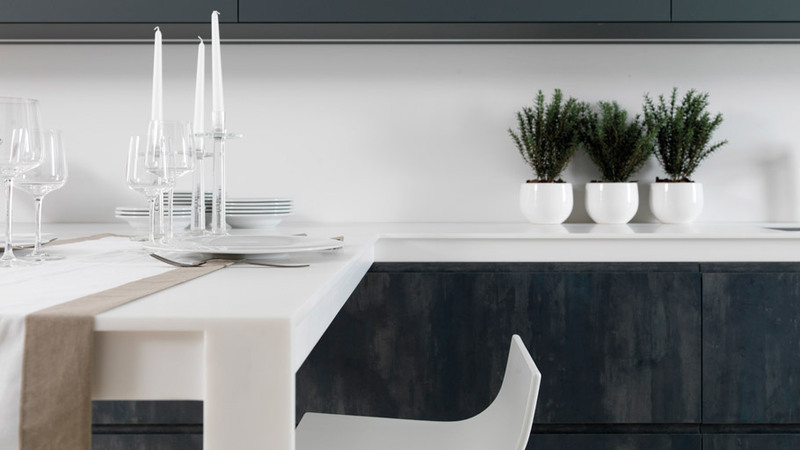 Together with the choice of materials, this kitchen stands out because of both its versatility and transformability. It can be blended into the atmosphere and joined to different spaces without compromising the general appearance of the home. 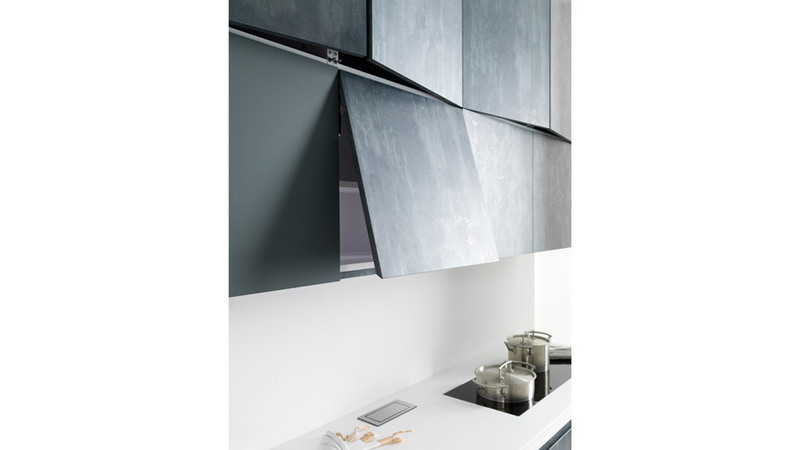 It has a folding front, which is offered in the innovative Emotions collection, and furthermore, it allows for the hiding of the sink space and the panel, just as if it were a closed cupboard. 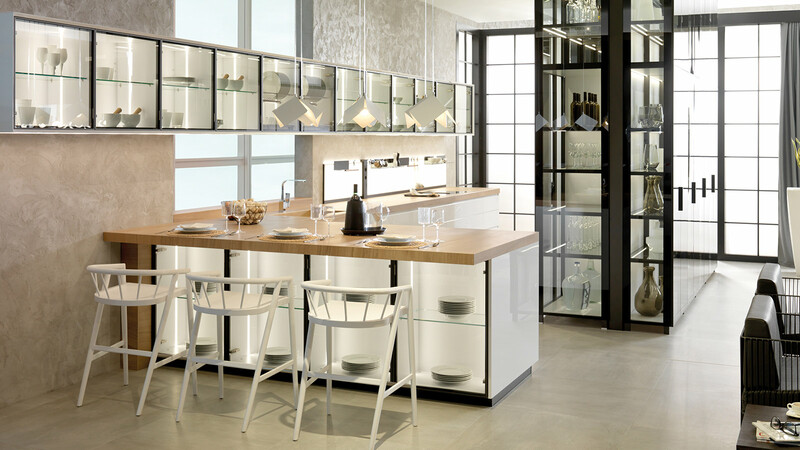 Its practicality resides in the big work space, with a very long spacious kitchen worktop. Emotions Evolution E7.90 kitchen. A sign from the future. 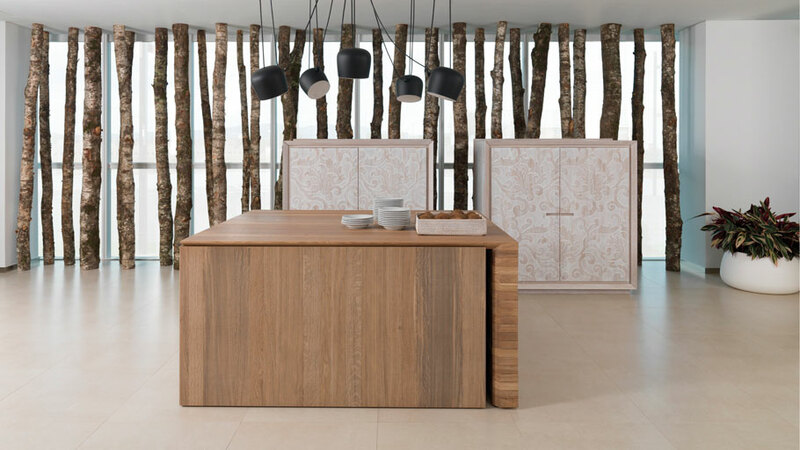 The current kitchen evolves towards the future with the Emotions Evolution E7.90 Roble Puro design. 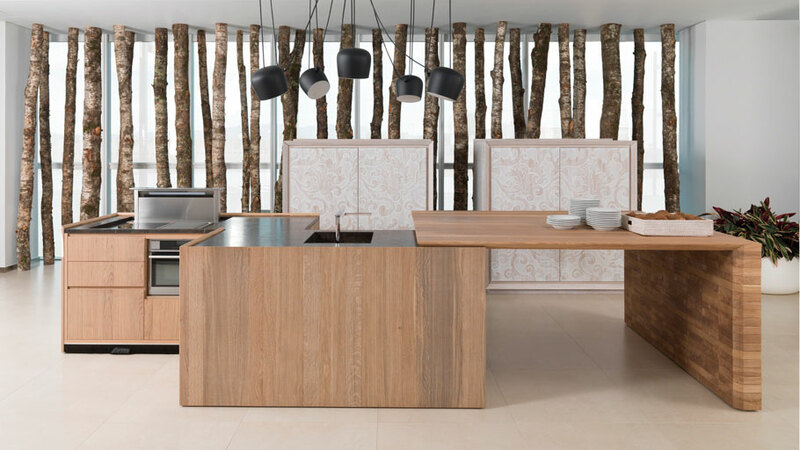 An innovative transgressive kitchen concept, which at first sight shows off a minimalist design, but when it is opened out, one can find much larger and more spacious kitchen furniture. This is the reason why Evolution is an engineering masterpiece, equipment which takes the best from each discipline in order to offer an adaptive kitchen. Leaving the space idle, it is presented like a bucket full of fine materials, like out of a museum, but however, when the activity starts, this bucket turns into a very well-equipped kitchen capable of covering all chefs’ needs. 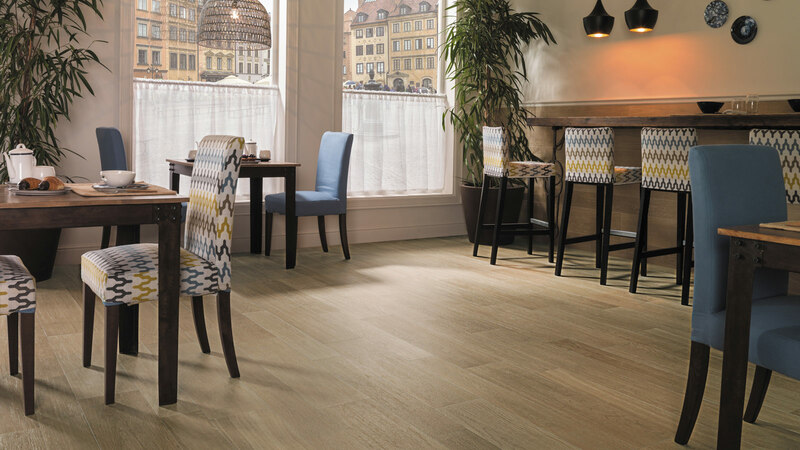 With regard to the materials, oakwood dominates by providing an excellent avant-garde design with its very own natural touch. 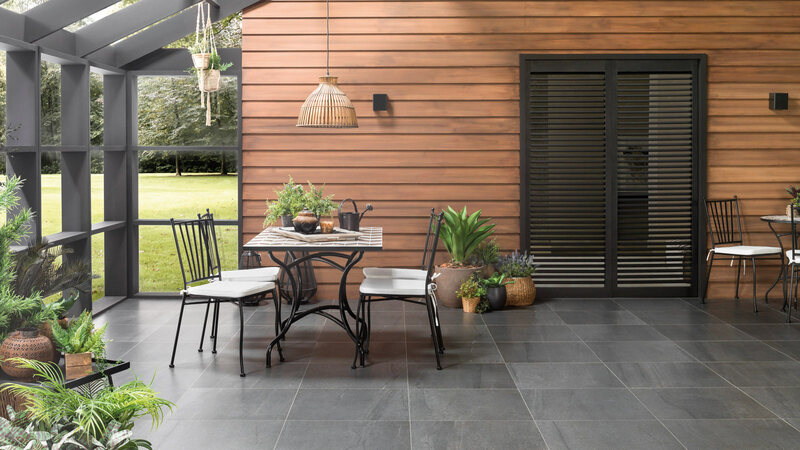 Gamadecor, by means of the Emotions E2.70 Cement Grout Lime Grout E3.00 Gris Carbono Ghost design, takes us to a technologically higher kitchen model. In the Emotions collection, all the interior structures are edged by means of laser technology, thus, ensuring a perfect hermetic edge-sealing. An aesthetical improvement which not only offers a more long-lasting kitchen, but also remains unaffected over the years. Likewise, the E3 series, offers high-pressure matt multi-layers with nanotechnology, providing laser-sealed self-healing and anti-fingerprint properties. 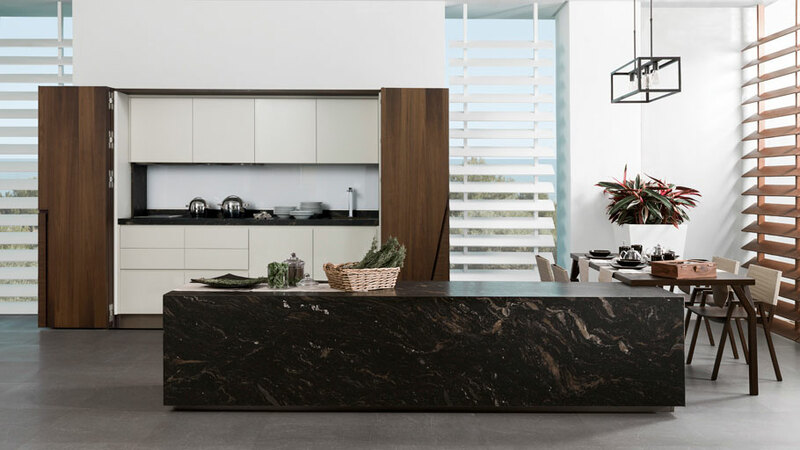 Apart from quality and resistance for demanding continuous use, the Emotions E2.70 kitchen displays a very spacious practical arrangement, with a large work space and an area which is opened out like a table. 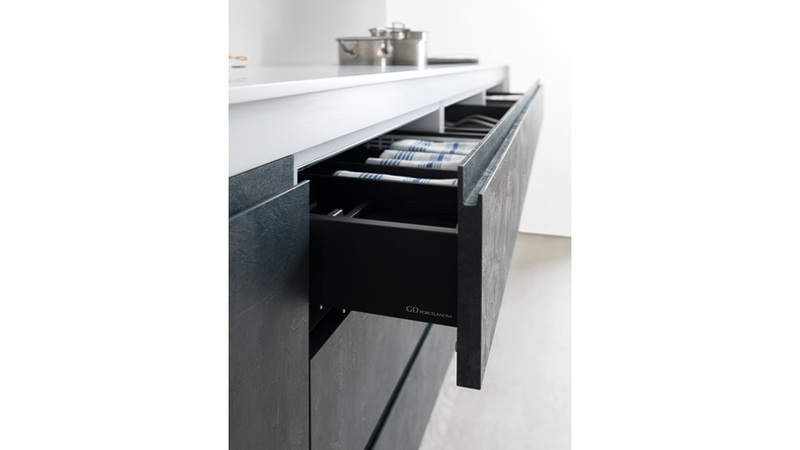 It also has a large storage space, standing out because of the easy-locking big drawers and ample cupboards. 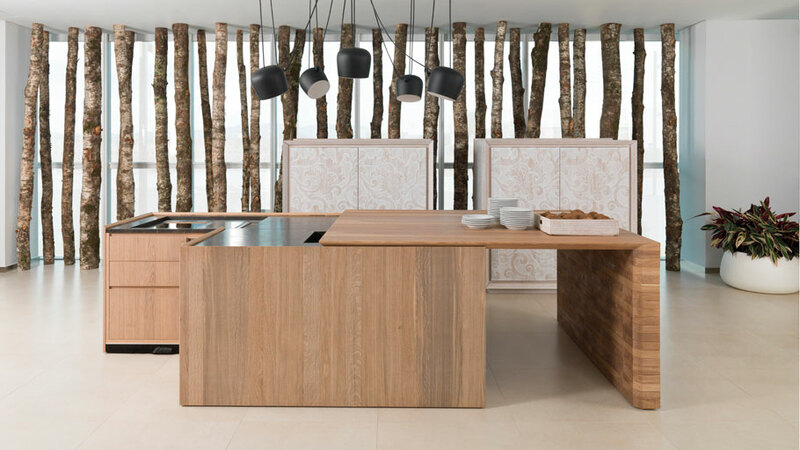 Three avant-garde kitchen models which foresee the kitchen of the future.